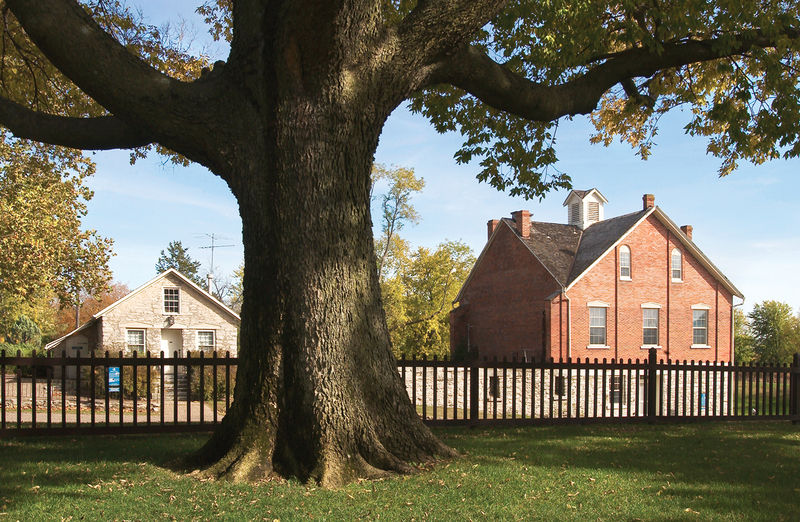 “A delightful habitation for man, and a resting-place for the weary traveler” (D&C 124:60), the Nauvoo House was and is a symbol of the crossroads Nauvoo was in Church history. BYU researchers are working to document every Nauvoo citizen from 1839 to 1846. Photo by Val Brinkerhoff. Returning from a 10-month mission to severe poverty in Nauvoo, Luman Andros Shurtliff started a school to support his family. When families couldn’t pay, he’d accept firewood—often fetched by the pupils themselves. But Shurtliff never turned anyone away. Shurtliff is just one of the estimated 25,000 individuals who resided in Nauvoo between its 1839 founding and the great Westward migration of 1846. The Nauvoo Community Project (NCP), in progress since 2012, is seeking to account for all of them—from birth to death. Run by students in BYU’s Center for Family History and Genealogy, the NCP gathers information from original documents—birth, residence, marriage, death, and burial certificates—to verify the accuracy of stories and information passed down through generations. After the team uploads all the basic information about every citizen, it will start phase two: scouring citizen journals to dig up important life events and uncover connections between people and places—bringing the Luman Shurtliffs to life. Upon the deaths of Joseph and Hyrum at Carthage Jail, Shurtliff, who helped lead the Nauvoo Legion, the city’s militia, wrote, “I would much rather . . . have marched into the prairie of Illinois and fought the whole mob of the states . . . than to tamely have these great men murdered . . . . But the authorities who were left said, ‘Be still and see the salvation of God.’” Shurtliff and the Saints faithfully did so. Jill Nelson Crandell (BA ’81, MA ’10), director of the family history center, says that the project is “a combination of genealogy and a historical study,” making it a significant contribution to the genealogical and academic worlds.